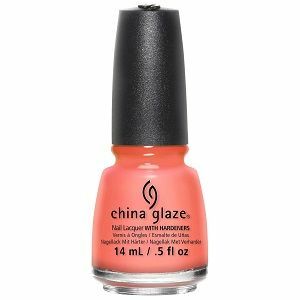 China Glaze Nail Polish, Flip Flop Fantasy, 873, .50 fl. oz. Bright, neon coral peach creme nail color with subtle pink tones. This is the newer color formula.